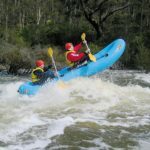 Dove Canyoning Tasmania, Day Tour: Wilderness, adrenalin and adventure – thats the Dove Canyoning Experience. Dove Canyon is wild Tasmanian canyon at its challenging best. 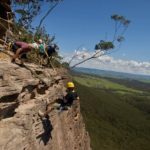 This trip involves a combination abseiling, thrilling jumps and slides buried in a 50 metre deep quartzite canyon. 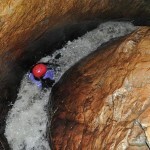 This is a wet canyoning experience. 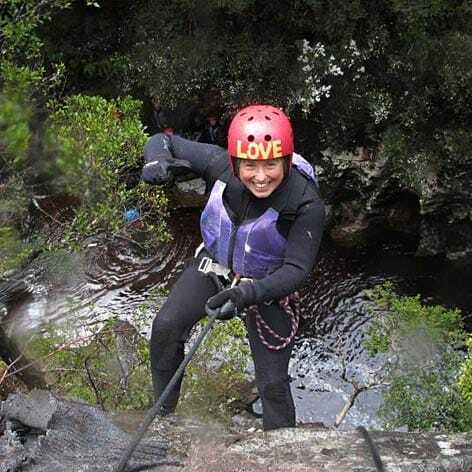 Dove Canyoning Tasmania: for the adventurous! 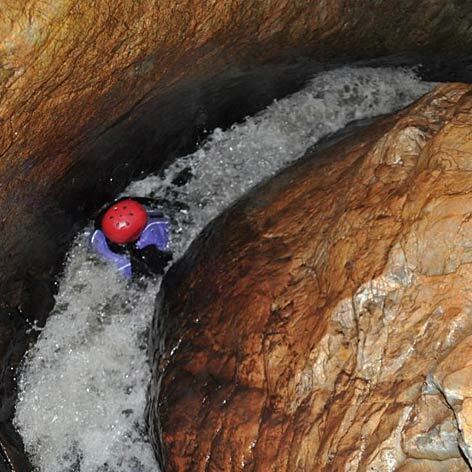 The Dove Canyoning Experience is for the adventurous and fearless. 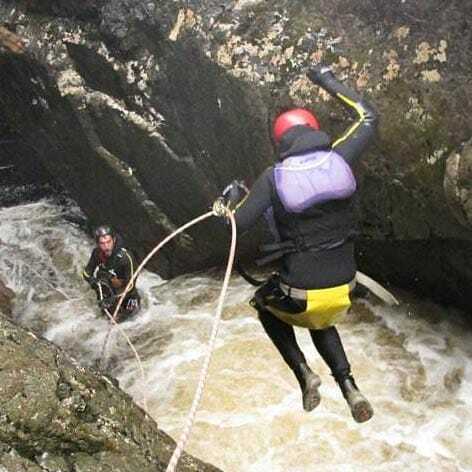 No previous canyoning or abseiling experience is needed, but we recommend customers are physically fit, MUST be able to swim and have a great sense of adventure. 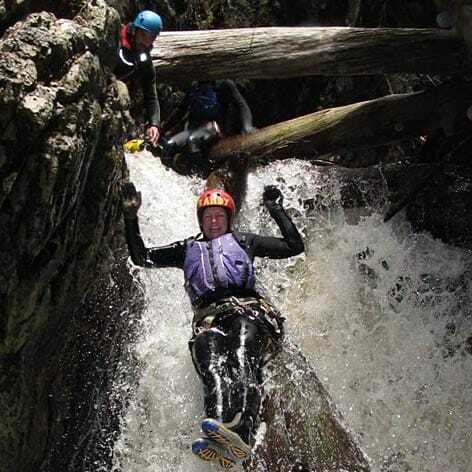 A must do for any adventure seeker wanting a pure canyoning experience in Tasmania. Canyoning is physically and mentally challenging. There's no way to walk around any of the falls, so it is a committing trip. Plus a very steep hill to walk out at the end. life jacket, helmet, wetsuit, shoes, gloves and harness. neoprene, woollen or polar fleece socks (not cotton) to wear under your booties. Please notify us of any medical/physical conditions you feel we need to know about. If you need to bring medication, we can carry it in our waterproof first aid kit. Do not bring anything valuable with you. The river gods have a taste for jewellery and Swiss watches. Don't bringing cameras! 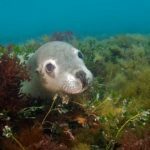 They tend to get dropped to the bottom of the river. We take photos during the trip and can be purchased at the end. Cancellation Policy: Cancellations fees of up to 30% may apply. Cancellations seven days or less before the tour date attract a 100% cancellation fee from the operator. After something more gentle? Our half day Family oriented Dove River Canyoning tour could be more suited.